Planning to sell your home next spring? While the peak real estate selling season may still be a few months away, the busy-ness of the holidays is right around the corner and with it will come family obligations, shopping, vacation planning and more. 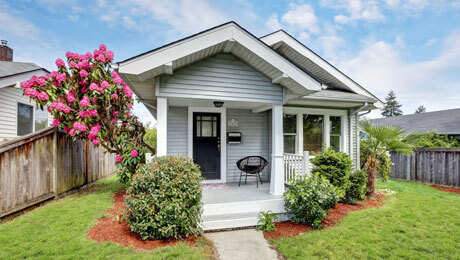 Take our advice: If you want to sell your home in the spring, start prepping now! If you know anyone who has recently sold their house, ask them who they used for their real estate agent and how they felt about working with that person. If they had a great experience, they’ll probably be more than happy to pass along the agent’s contact info. If you don’t know of anyone who recently sold a home, start asking around in your local community. Ask people at work, church, social clubs, and so on. And don’t forget the power of social media. Does your neighborhood have a Facebook Group? If so, that could be a great place to ask for recommendations. Otherwise, simply create a post on your own timeline/profile and let friends and relatives chime in. Although a professional agent will have access to more in-depth information on the local market, you can still start gathering information and educating yourself on the basics: home values of similar properties in the area, new retail or commercial developments planned for your area, school districts, nearby amenities, etc. While doing your research, you might have noticed several listings similar to your home have upgraded features. In order to snag a better sale price, you may want to consider making a few of these upgrades as well. Or perhaps there are some issues you’ve been neglecting that need to be fixed before you’re ready to sell. Make a list of home improvement projects you want to complete from highest to lowest priority. Then research those projects to get an idea of time and cost. From there, you can determine which projects are doable with your budget and timeframe. For example, major renovations are costly and may not be feasible if you’re planning to list your home by the new year. But small-scale projects like replacing the kitchen sink or remodeling your bathroom could not only be doable, they could help you boost your home’s value without having to spend a lot of money. Clear away clutter and depersonalize wherever possible (this is a great time to start packing unessential items). Give your home a good deep-cleaning. Tidy up your home’s exterior, lawn, landscaping, etc. Refer to your list of recommendations and start interviewing real estate agents.